Through the answers to that question, the creative team at St Marks Church began to understand that the story behind a tattoo was as instrumental as the ink used to apply it. The more the concept getstated, the more obvious it became that a creative iniative be born from it. Led by Carl Greene and Anna Golladay, St Marks Church began a journey with the hope that spiritual conversations would continue. The result is Faithmarks. 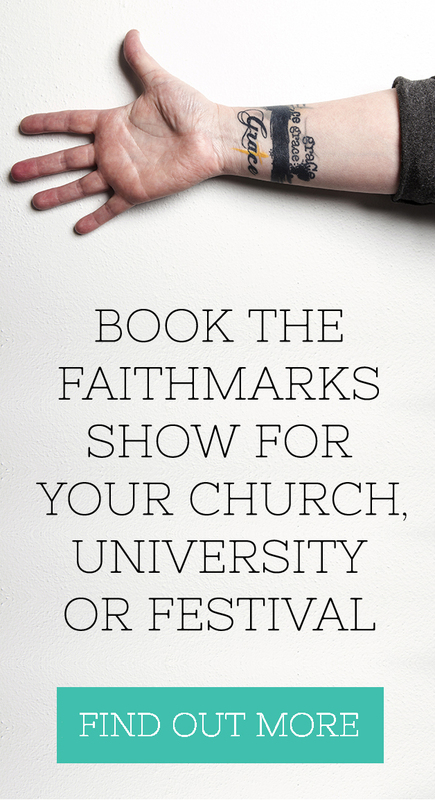 This first-of-its-kind, inter-faith initiative for Chattanooga, TN, Faithmarks is a gallery show that explores the intersect of spirituality and the art of tattoos. It now travels the country, encouraging conversations in coffee shops, tattoo studios, on college campuses and in the halls of religious facilities. In 2015, Chapter II was created, adding another 19 images to the collection. As we enter 2017, Chapter III is in the planning stage and will be unveiled on Saturday, May 13, 2017.